It looks like the Saskatchewan government will have to defend its new trespassing legislation in court. On Tuesday, the provincial government introduced new legislation that, once passed, would require people to obtain permission from landowners to enter their property. The government says the change will better protect landowners and those using land for hunting, fishing and snowmobiling. The proposed change was met with criticism by the Federation of Sovereign Indigenous Nations (FSIN). Provincial Justice Minister Don Morgan met with members of the FSIN on Friday to discuss the legislation. "The position that they are advancing and will likely go to court on is that it affects Indigenous rights. Our position is it does not change any of the rights as they exist right now," Morgan told reporters after Friday`s meeting. "It was really respectful, a lot of sharing of ideas. We agreed to disagree on some parts. We agreed that it's good practice for hunters to obtain permission before going on [private property]." Morgan said the matter will have to be settled by the courts. 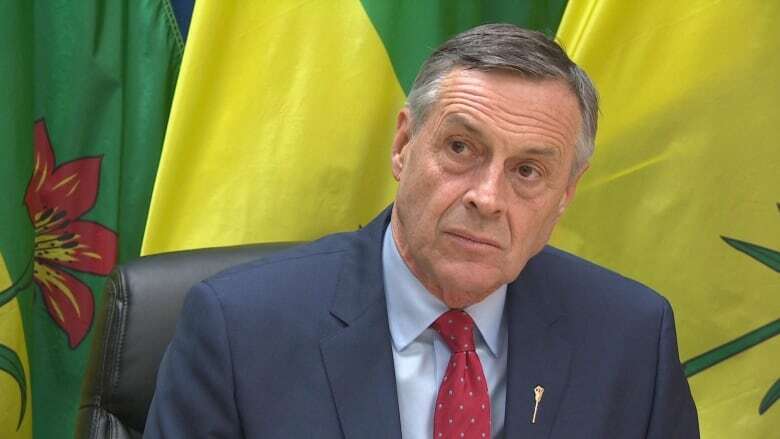 He said it was a "good discussion" and the conversation moved toward "protecting safety and security" of Indigenous people all across Saskatchewan. FSIN Chief Bobby Cameron said Friday that his organization will stand up for "inherent and treaty rights" of Indigenous people regardless of the issue. "Treaties are above provincial law, they are international law," said Cameron. Earlier this week FSIN Vice-Chief Heather Bear said the trespassing law showed, "deep disrespect here for treaty and inherent rights." Morgan said on Wednesday the government has obtained legal opinions stating requiring someone to obtain permission to enter private property is "legal and is valid and does not interfere with existing treaty rights." "There is no duty to consult on something that does not interfere with or affect treaty rights," Morgan said Tuesday. The FSIN and the province have not seen eye-to-eye on several issues recently. "It's been challenging to say the least with all of the different laws, policies and legislation the provincial government is looking to enforce," Cameron said Friday. Earlier this week Morgan and other government officials met with members of the Muscowpetung First Nation about an unlicensed cannabis store there. The two sides are in disagreement over jurisdiction to sell cannabis. Earlier this year Cameron attended and defended the protesters at the the Justice For Our Stolen Children camp, which stayed up for 197 days in Wascana Park. On Thursday, NDP leader Ryan Meili was critical of Premier Scott Moe's decision not to visit the camp. "It would have been a very simple thing to go and sit in the teepee and chat," Meili said. In June, the province issued an eviction notice to the protesters, which led to Regina police arresting six protesters. In July, several cabinet ministers attended a meeting with protesters and Indigenous leaders in Fort Qu'Appelle. The two sides met in court in August and a judge ordered the camp to be taken down in September. "There is a real fracture in that relationship and that is a very dangerous for this province. We need to be building the relationship between Indigenous leadership and provincial leadership," said Meili. Meili said giving conservation officers "heavier arms" and the introduction of the trespassing legislation have sent "threatening messages to Indigenous people." "They're going ahead with all sorts of changes without any consultation," Meili said.